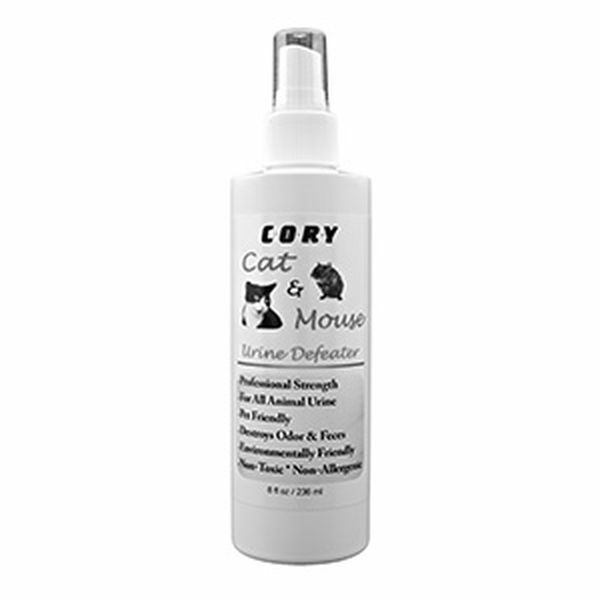 Cory Cat & Mouse Urine Defeater is pet-friendly, but destroys odors caused by all animal urine or feces. Designed for complete odor elimination. By transforming a gas into a solid, this product encapsulates the odor and destroys it! Professional strength. Non-toxic. Non-allergenic. Environmentally safe.